If you’re familiar with rapper The Game, you’ll know that earlier this year he released a song which admitted he’s bedded three Kardashians. Because the world is obsessed with the talentless family that is the Kardashians, there’s been tons of speculation on who those three could be. So to put the rumours to rest, The Game appeared on The Wendy Williams Show on Tuesday, and the host didn’t waste any time before grilling him on which exact three of the infamous Kardashian Klan he slept with. Now, he didn’t technically respond to this, but a sigh and a knowing look kind of gave the answer away. When asked if he ‘got down with Kourtney‘ he said no but when asked about Kim there was a silence and sly smile, which led to the crowd cheering and screaming. Despite sleeping with two Kardashians though, The Game still has some class. I’ll tell you this, Kanye is a really good friend of mine and he’s got really beautiful kids and I don’t want to disrespect their family. And the third? Well, she’s not a Kardashian yet – but she will be. 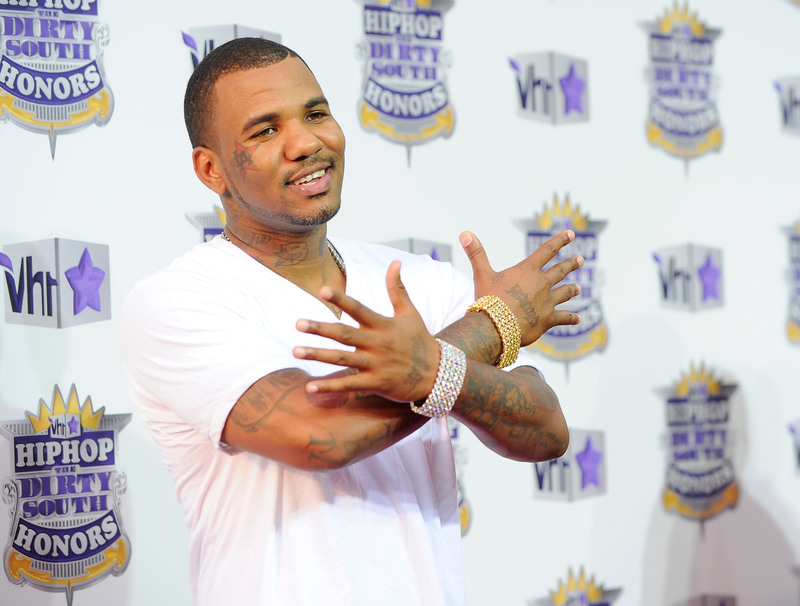 The Game confessed that the last was Rob Kardashian’s pregnant fiancee Blac Chyna.